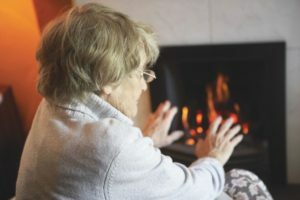 The cold weather has set in once again and industry charity Rainy Day Trust (RDT) has launched its 2019 Emergency Winter Fuel Campaign. RDT ceo Bryan Clover said: “The government runs a cold weather payment scheme that pays £25 to those on means-tested welfare benefits when the average temperature is below zero for seven consecutive days. This misses thousands of families that don’t earn a great deal and, even if the temperature is one or two degrees above zero, they won’t get paid. RDT takes a different view and looks at the forecast. or call RDT on 0203 192 04865. RDT is the only charity which exists solely to help people who have worked or currently work in the UK’s home improvement and enhancement industry including DIY shops, hardware and housewares stores, builders merchants, garden centres, cookshops, and all the manufacturers, distributors and retailers in the UK who supply them. RDT operates across three sectors (builders merchants, DIY & Hardware and Housewares & Tabletop) which have a combined turnover of more than £50 billion and employ close to 500,000 people. The charity grew out of two benevolent funds for the industry with roots back to 1843, and now offers a range of services to retail and supplier employees – ranging from a regular cash payment to white goods and even house repairs.